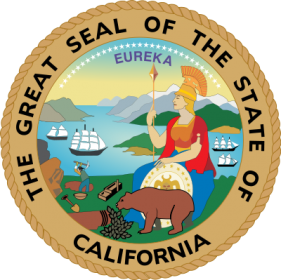 Efforts by legislators to authorize and regulate California online poker in 2014 will not come to fruition, following an announcement by CA State Senator Lou Correa that he is abandoning efforts to push his latest online-poker bill forward. Correa has been one of the foremost proponents of legalized intrastate online poker in California, and has submitted legislative proposals on nearly an annual basis over the past half decade. His latest bill, SB 1366, is one of two virtually identical bills currently active before the California State Legislature. A companion Assembly bill, AB 2291, was sponsored by CA Assemblyman Reginald Jones-Sawyer, but is expected to suffer a similar fate. Correa, whose 34th Senate District includes much of Orange County and neighboring areas, announced the withdrawal of his bill via comments for a report in the Los Angeles Times, which broke the story. As Correa told the LA Times, there wasn’t enough time left in the current legislative session to “refine” the bill, code for working to arbitrate some of the political disagreements which have kept his and Jones-Sawyer’s bills from moving forward. True or not, the doing of internet poker “right” in California via legislation will now have to be done without Correa’s involvement. The two-term state senator is now up against term limits and will not be running for re-election this November. This means that the tribal backers of the core bill put forward by Correa will now likely seek another state-senator sponsor. The same process took place a year ago in the California State Assembly, when Jones-Sawyer replaced former primary bill sponsor Roderick Wright after Wright was convicted on unrelated voter-fraud charges, though the current bill is somewhat different than that sponsored by Wright in earlier years. The LA Times feature correctly recaps all the reasons why the Correa and Jones-Sawyer bills failed to advance from their respective “GO” (Governmental Organization) committees. Those reasons include the hard-line “bad actor” inclusion designed to block PokerStars from the California market, or even its business assets, now that the firm has been sold to Canada-based Amaya Gaming. This came despite one large California tribe, the Morongos, and three major LA-area card rooms, partnering with PokerStars as a software provider. Additional barriers to cooperation included a presumptive ban on pari-mutuel outlets against participation in the would-be online poker market, along with the bills’ inclusion of criminal penalties for players who might participate on offshore or unregulated sites, which is currently legal under the lack of any applicable California law. When combined to the opposition from groups opposed to gambling in general or to legalization of any form of online wagering — such as the Sheldon Adelson-backed Coalition to Stop Internet Gambling, which enlisted several California politicians in its effort — the hard-line exclusions of the bills caused them to fail to gain traction. The news means that live, real-money online poker in California would likely debut no earlier than 2016. No bill could reasonably pass both California legislative chambers and be signed into law this year. This means that 2015 is the earliest another bill could be drafted and passed, and allowing for several more months for the drafting of specific regulations, 2016 is now the earliest likely live date in the Golden State. The news isn’t all bad, depending on point of view. The handful of offshore poker networks currently serving US and California players have received at least another 12 months of time in which there are no worries about serving poker players in America’s largest state. Several of the largest US-facing offshore sites have already pulled out of New Jersey, Nevada and Delaware, the three US states currently offering officially regulated online poker.